Remember the old adage, those who fail to plan, plan to fail. There is a reason why that saying has stuck around so long because it is true. 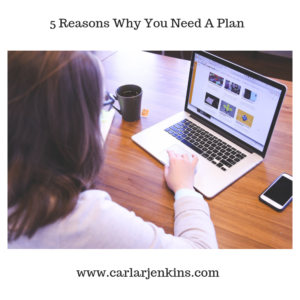 Here are 5 reasons why you need a plan. You need to know what you are doing and where you are going. A plan gives you a definitive roadmap towards getting there. People without plans are aimless. Don’t be one of them. You cannot manage what you cannot measure. A plan lets you track to see whether or not your plan is working. It is important to know what is and isn’t working so that you can drop what isn’t working and keep what is working. Things rarely go according to plan. You’ll run into problems and will need help along the way. A plan spells out the kind of help that you’ll to get from others. People love helping people win. Having a plan lets them see how they can help you and where they can contribute. Plans can be reused in the future. If you have to do this again, you’ll have this actual plan as reference. Need Help Crafting Your Own Customizable Plan To Get YOU to YOUR Next Level? Something always happens to change your plans. That is for sure. That’s why you always must keep an eye on them and be prepared.